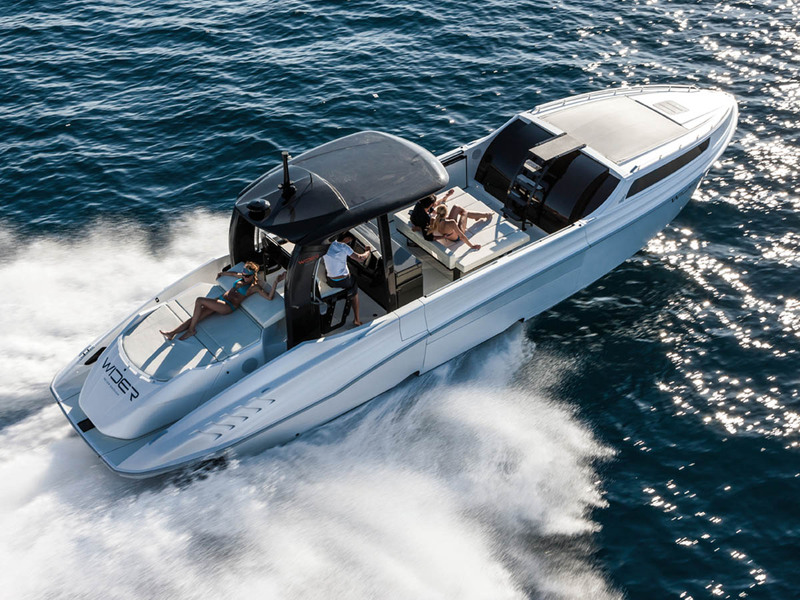 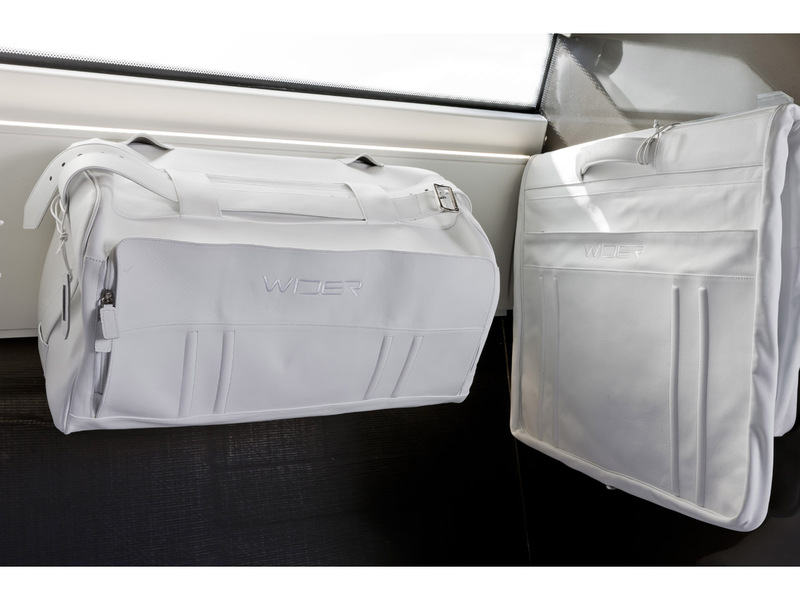 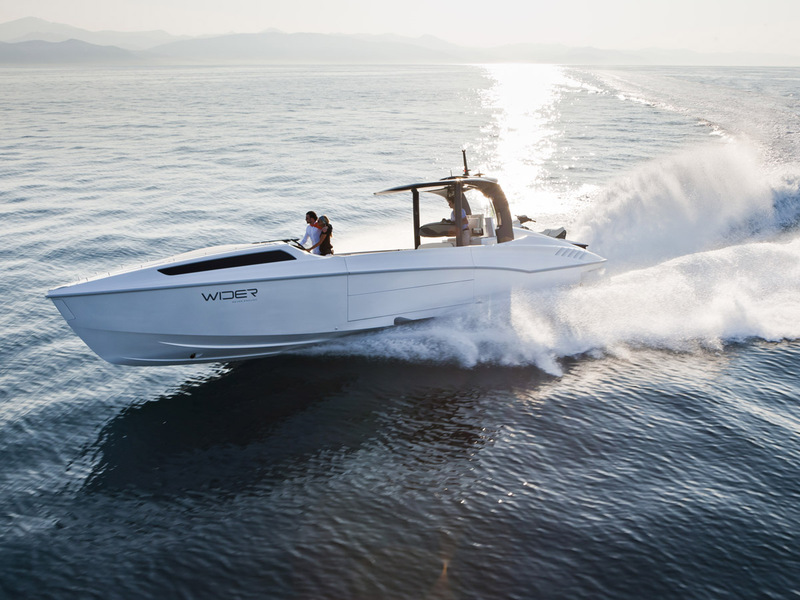 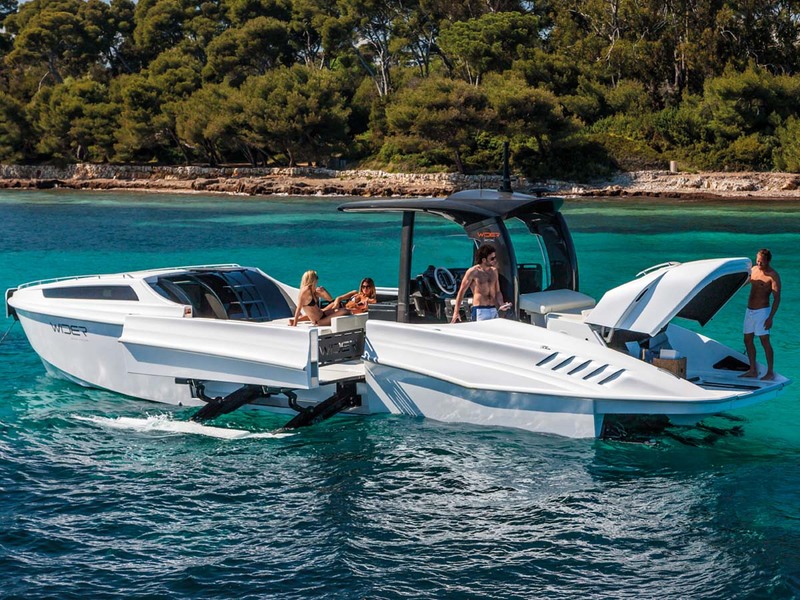 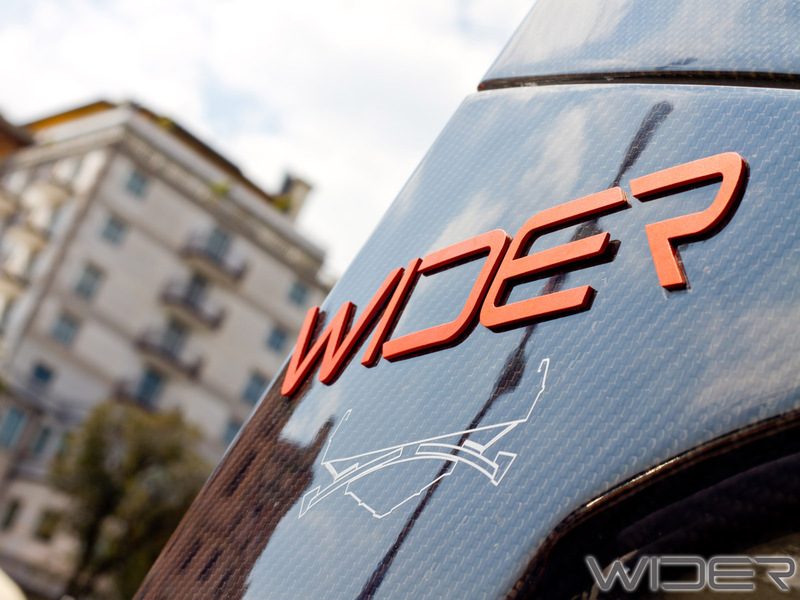 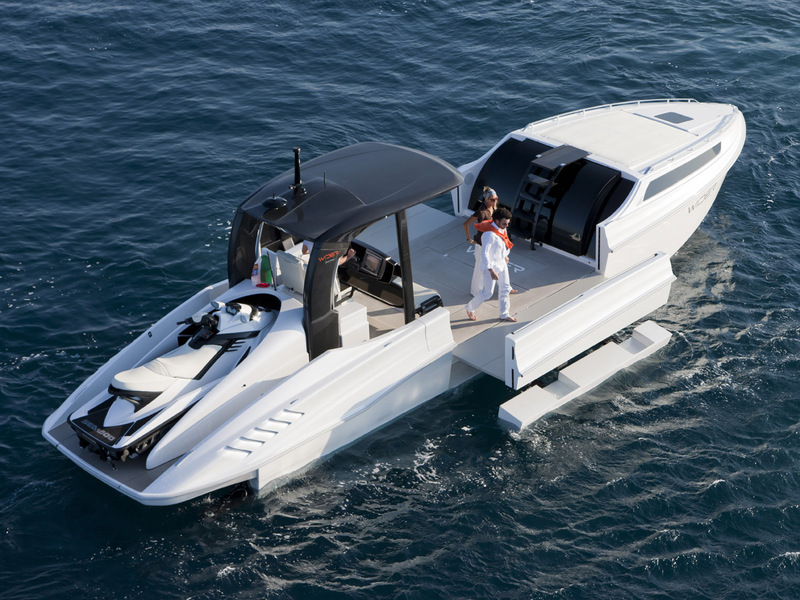 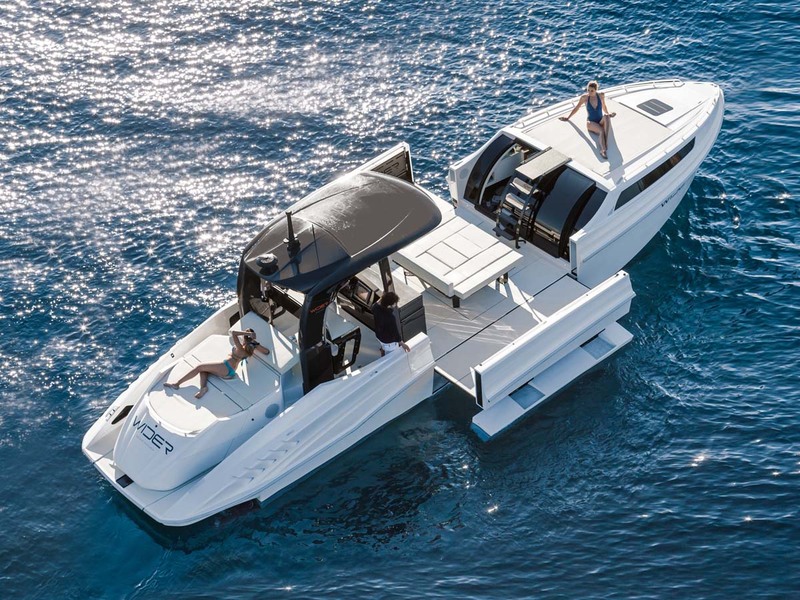 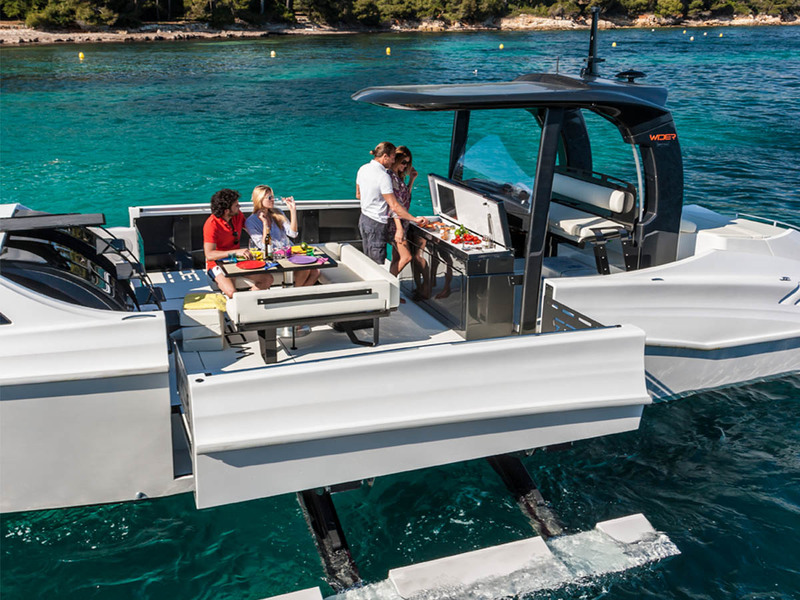 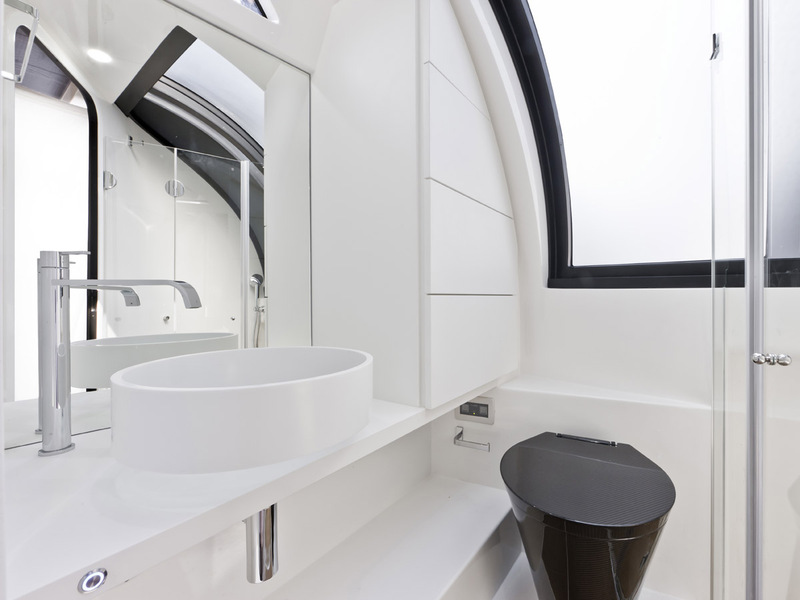 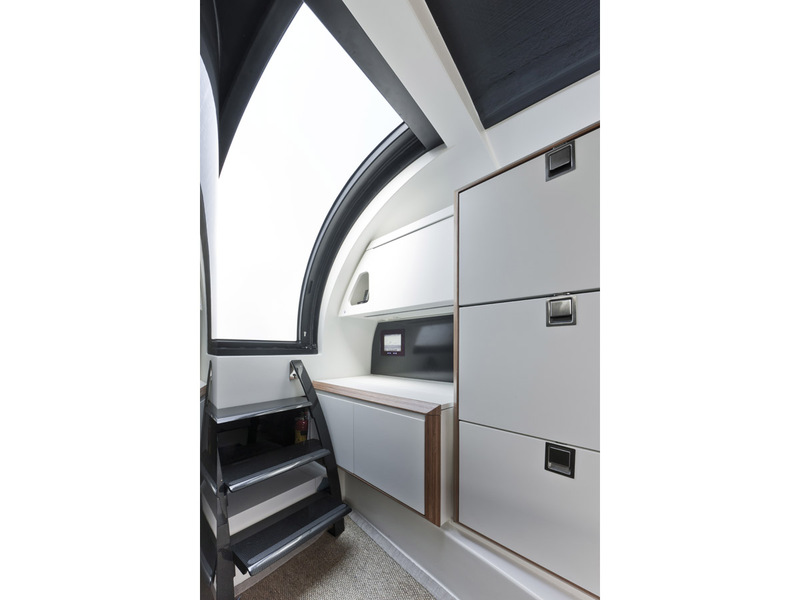 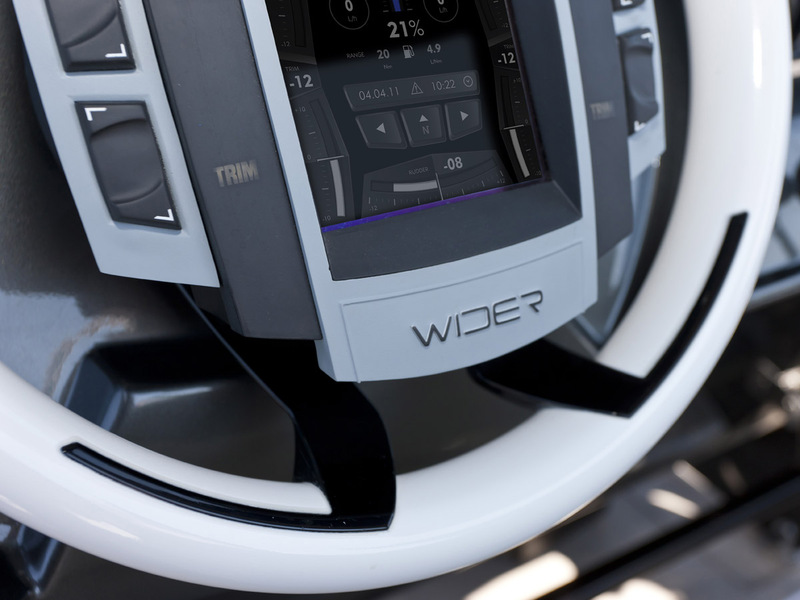 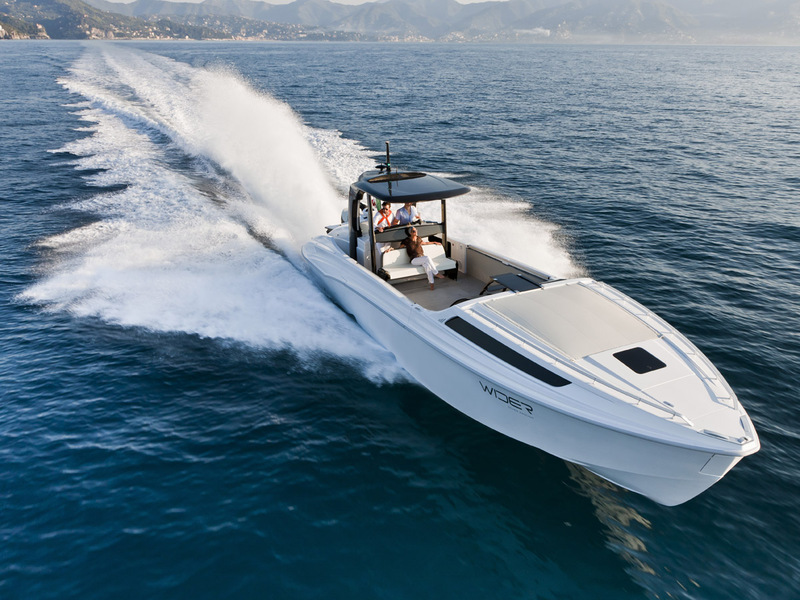 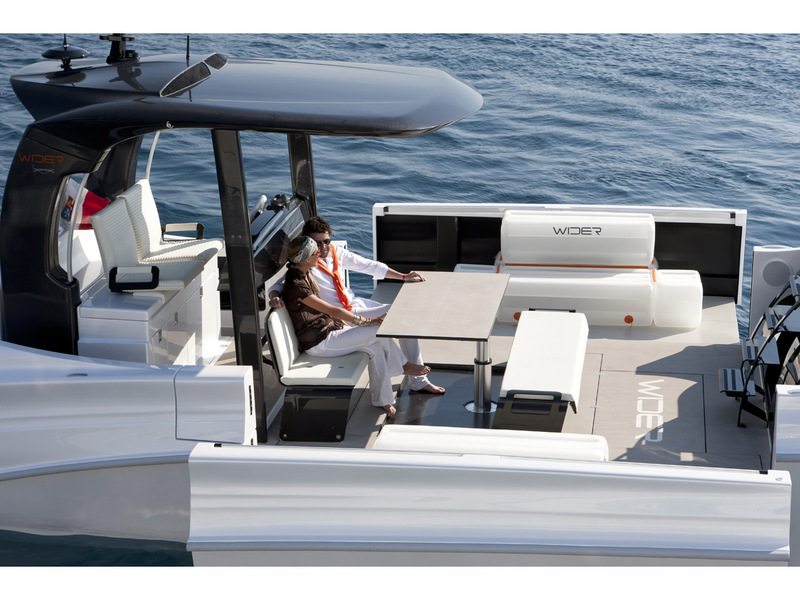 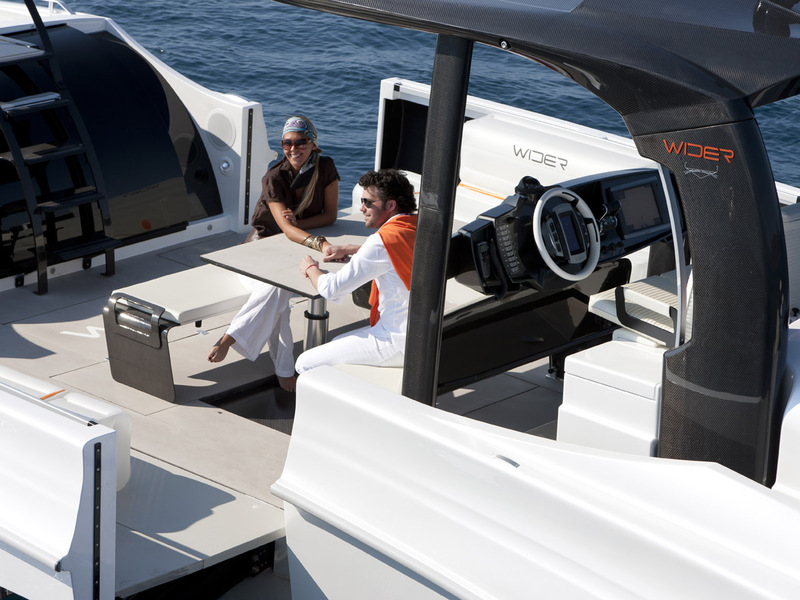 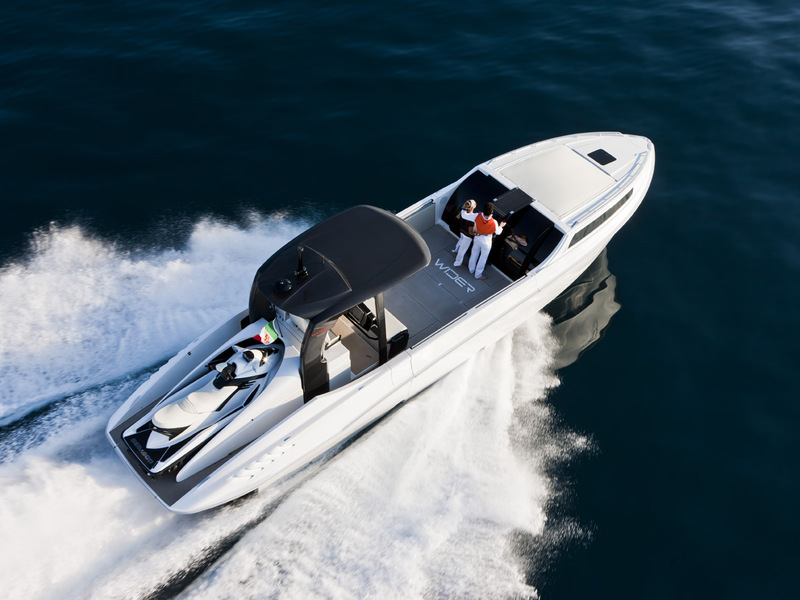 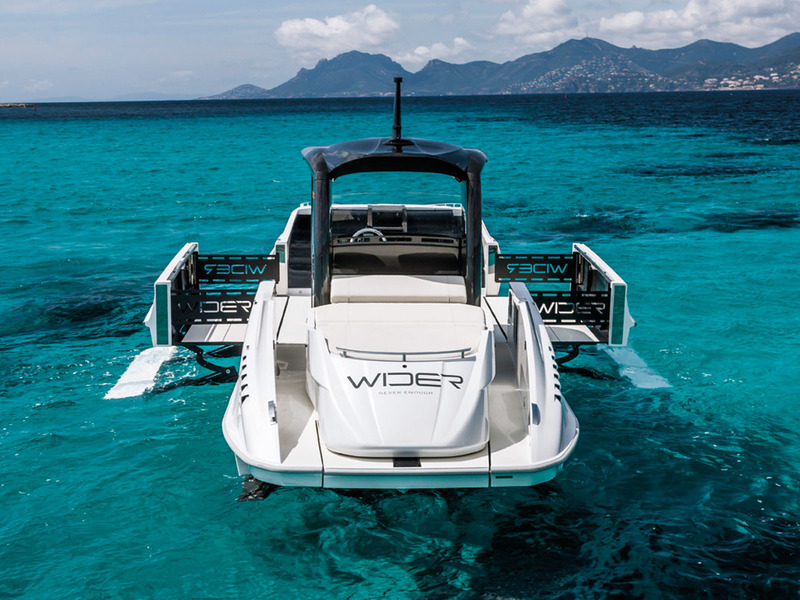 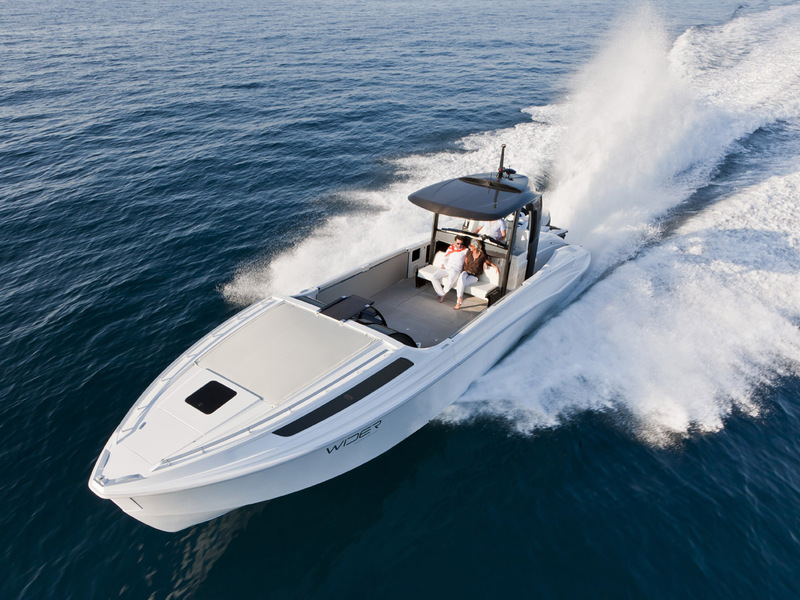 Everything about Wider 42′ have been thought down to the smallest detail. 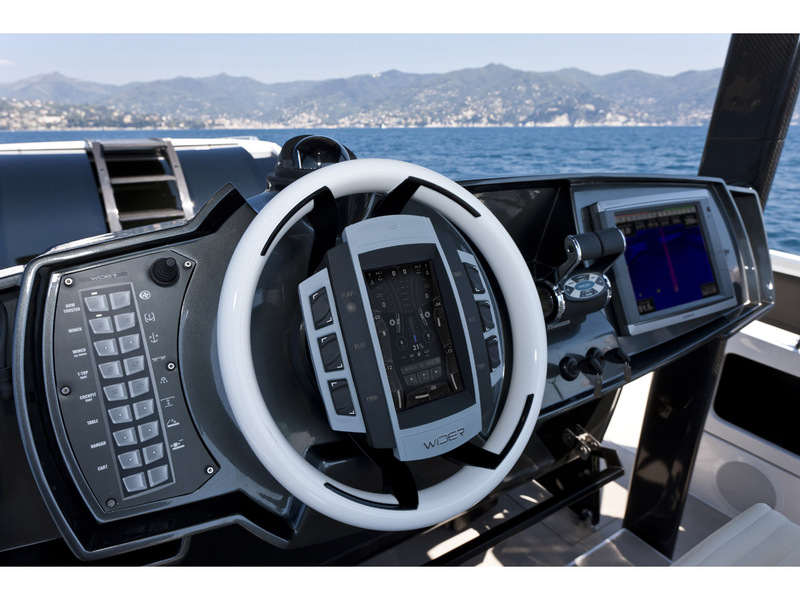 From its astern gills-like air intakes to air the engine room to the high-technology control panel, from the cockpit widened by means of two extensions on both the sides of the boat significantly expanding the walkable surface and stability at anchor of the boat to the attention to details. 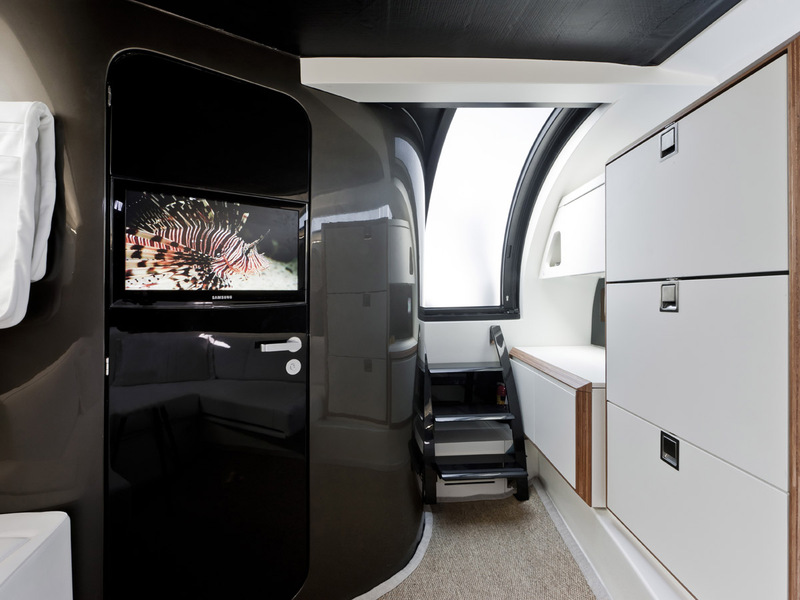 A team of dedicated professionals created an ambiance where comfort and design reign. 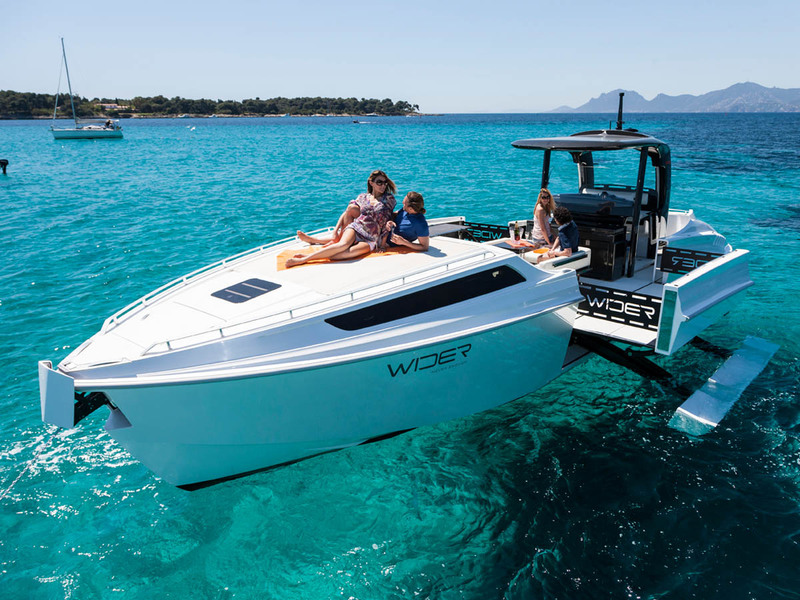 It’s impossible not to appreciate also the carbon steel precious fittings, the elegant motion of the expanding extensions and the a contemporary and masterfully designed interior environment.